One of the most frustrating moments in life is when you study French for hours to realise you still don’t understand much of what people are saying and you don’t feel confident enough to participate. Yet, this happens way too often. Having regular chats that will gradually become more complex with someone you deeply trust. Someone who has the knowledge and patience to explain things you don’t understand yet without making you feel like a child. Someone who encourages you to speak and make mistakes, who doesn’t interrupt and never would think of making fun of you. Now how do you actually find someone like that? In part 1 of this series I gave you a tour of the 2 best online platforms for French teachers that won’t empty your wallet. So before we get started, make sure you’ve read that article. Now that you know where to look, let’s talk about who you should be looking for in order to get the best results. Every teacher you meet will be unique, with her own strengths and weaknesses. The good news is this: as you’re the one that started this tough learning journey, you get to choose who will be your guide and mentor. Carefully selecting your tutor is a choice based on needs, goals and preferences. This can ”make or break” you as a language student. That’s why it’s quiz time for you! Just in case you would like some more detailed information about what matters when selecting your tutor, here is a short list of what I took into account while creating this quiz. These are some extra questions you can ask yourself while selecting a couple of teachers based on their online profile and other people’s testimonials. If you haven’t yet, check out this video on how I chose my own Portuguese tutor for some more tips. Are you the kind of person who prefers exploring and learning everything on your own or do you sometimes find yourself lost in French and would love a few more ”road signs”? Some teachers (like myself) will encourage you to discover part of the language through self-study, while others will prefer showing you everything themselves. Do you usually remember a written quote better than the nuances of a pronounced word or what someone once told you? This is essential to know as you may want to look for a teacher who chooses learning materials that match your way of memorizing details. Have you ever heard that people are either ”left or right-brained”? Well, I wouldn’t go as far as saying that, but I did notice that most of my students either have a talent for the rational part of language learning, or for the intuitive part. However, both are vital to learn a language. If you are naturally drawn to facts, I would advise searching for a teacher that uses more intuitive methods and can introduce you to the power of improvisation and association. Did you hate your college years or do you have fond memories of being a student? Some people just don’t want to go back to school (I’m one of them) and will do anything to find a teacher that encourages interactive activities rather than giving grammar lectures and following a textbook. For your own sake, find someone who agrees with how the sessions should be conducted so you won’t feel like you’ve been rubbed the wrong way when you finish the class, if you know what I mean. Step 1. If you have friends that are struggling with learning to speak authentic French, why not share the results of this quiz with them so they can give it a try themselves? I’m sure they’ll be grateful that you’ve thought of them. Step 2. After you’ve made a list of interesting tutors, go on and read part 3 of this series called “5 signs that you’ve finally found the right French teacher”. Step 3. 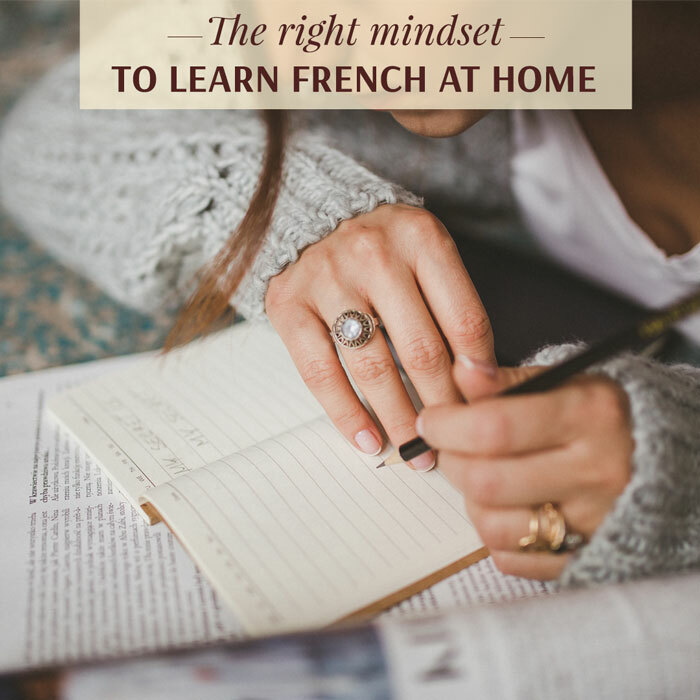 If this article proves to be useful in your search, please take a moment to come back to the comments section and share your thoughts on what makes the perfect French teacher. Who knows who else can benefit from your wise words, right?